This Brad Zinker Custom Mini Warny was recently acquired from a collection and is in excellent condition. 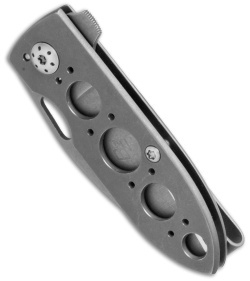 The Mini Warny is a magically lightweight, pocket-friendly knife with an ultra-slim design. 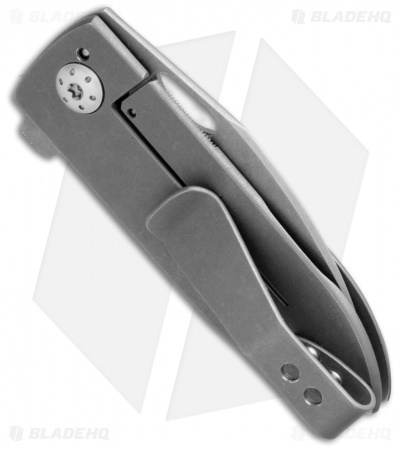 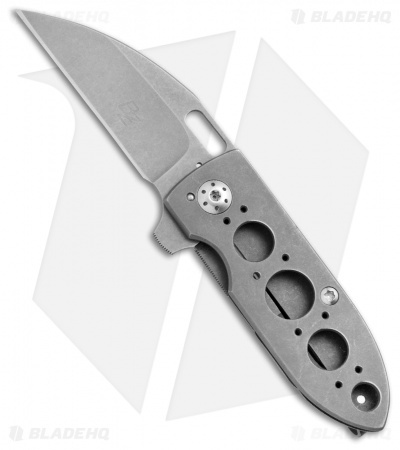 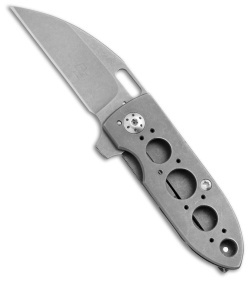 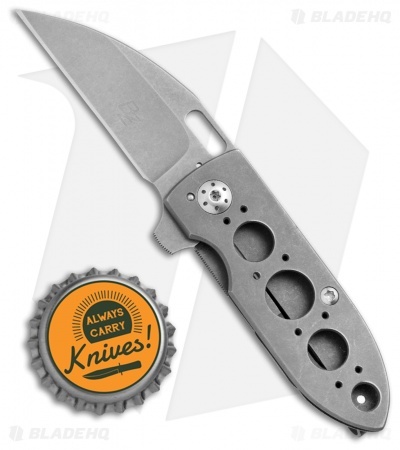 It has a bead blasted, tumbled skeletonized titanium handle with a deep carry pocket clip. The blade is CPM-154 steel that has been bead blasted and stonewashed. This is a fine knife that is sure to impress.